Shellshock from the Modern Warfare announcement has left me wanting to roll with DICE. I regret feeling the need to kick up a fuss before a game’s even hit the shelves, but I feel there’s just cause for it. 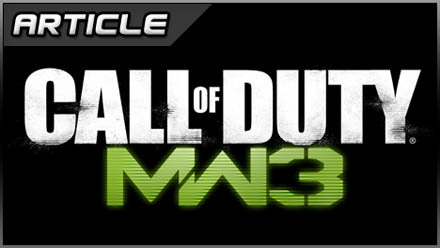 After all, the press appear to have been temporarily blinded by the flash of Activision’s incoming Modern Warfare 3, and, as a result, it’s become near impossible to avoid all the articles and previews blowing up across the internet (despite them containing little in the way of substance and information). Heck, even the Daily Mail threw in a punch this week: announcing their distaste at the thought of the game, and linking it to the 7/7 London bombings. 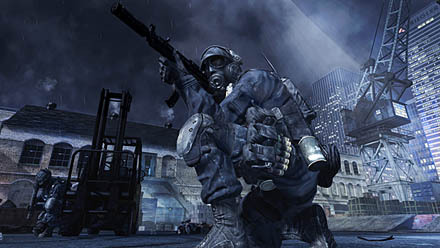 It’s understandable, though, the Modern Warfare series has become famous beyond its target audience, with even non-gamers aware of its existence and what it entails. But as I clicked the link through to watch the newly released trailer for the third entry, I felt entirely disinterested; no excitement for what I was about to see. And even after watching it, that feeling lingered. Had I really lost interest in the genre? Or was it just the Call of Duty franchise that no longer satisfied my thirst for shooters? In my mind, it comes down to what they offer to the average gamer. Currently, it seems Activision is set on making Modern Warfare 3 a replica of the previous entry to the series: sticking to that “blockbuster” thrill, with a ludicrous plotline and an unambitious multiplayer. DICE, on the other hand, seem prepared to go that extra mile on each platform with their glittering, fresh-out-the-box Frostbite 2 engine, and up to 64-player online matches for the PC version of the game. Maybe it’s just me – perhaps I’m biased towards Battlefield. But it’s been over a year now since the release of Battlefield: Bad Company 2, and I’m still booting it up and hitting the multiplayer for a few rounds of “Conquest” on a weekly basis. For me, BC2 was the pinnacle online experience of 2010 both on consoles and PC: that’s not to say I didn’t enjoy Modern Warfare 2 or Black Ops, I just found the multiplayer aspect ended once I’d tried all the modes and unlocked the majority of the content. To this day, BC2 gives me tactical online participation that delivers excitement in its gameplay, as opposed to an ultra-competitive environment where the only joy appears to be in killing (and unlocking better guns for more killing). Frankly, I don’t expect many (or even any) to agree with me: that’s not the point of this article. I’m merely pondering the thought that Modern Warfare might be becoming passé. That, maybe, its continued tread on familiar territory isn’t enough to keep up with the competition. Not with the intention to alter its sales (or even boost Battlefield 3′s), but just with the hope that gamers don’t feel obliged to purchase, come November, just to feel part of the community. It’s a difficult area to discuss: many love the Modern Warfare games and are willing to defend their corner to the death. 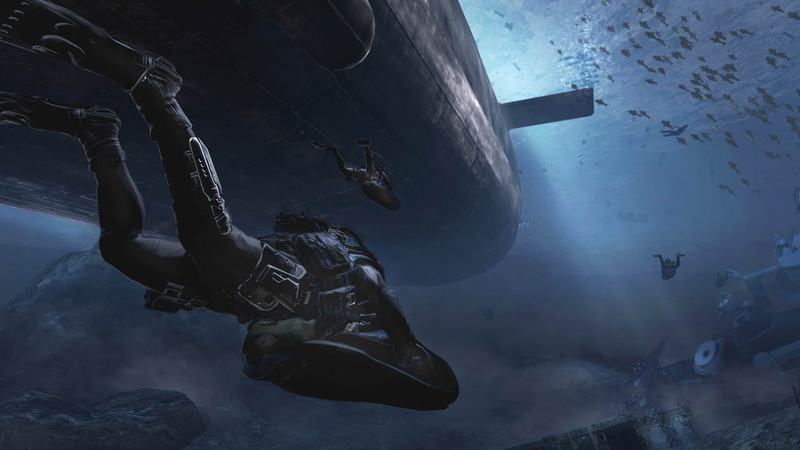 And, you never know, Activision may reveal some startling enhancements for MW3 during E3 that make me eat my words right out of the monitor – but I’m not convinced. In fact, I’m so utterly unconvinced that I’ll likely only glance over the updates coming in for the game, much like I would for the next FIFA or Sims. 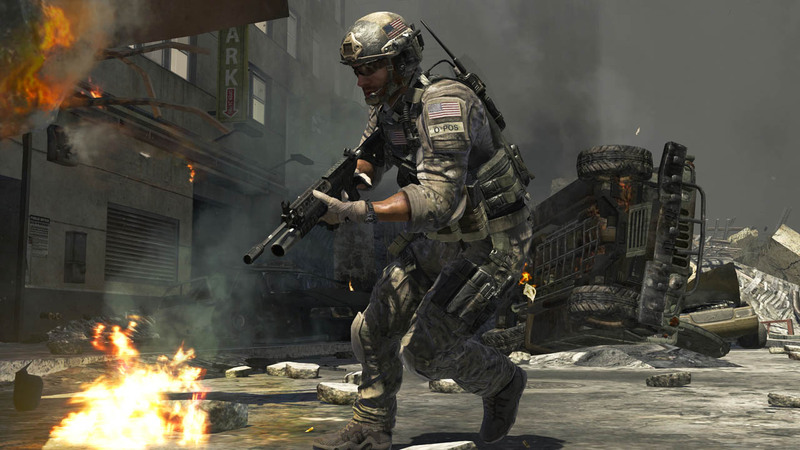 But then, that may be the future for the Call of Duty series. Only time, and sales figures, will tell. 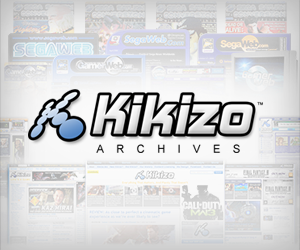 Posted in Features, FPS Gamer, Top 5, and tagged with Activision, Battlefield 3, ea, Modern Warfare 3.